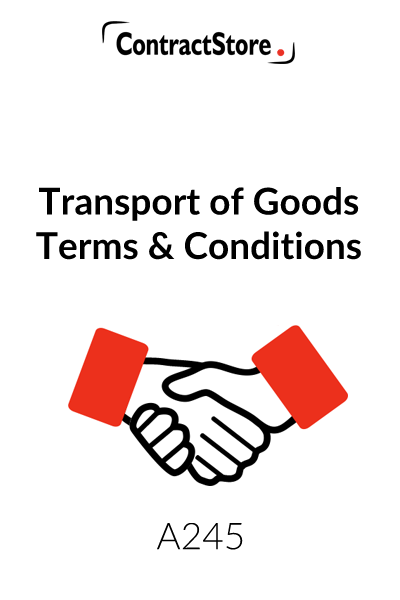 These transport of goods terms and conditions are designed for use by a small business offering a delivery service for goods. What are these Terms & Conditions for? 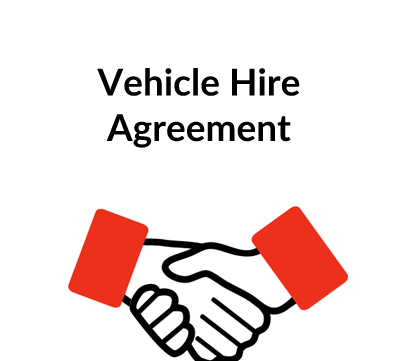 These terms and conditions set out the duties of both the transportation company and the customer. Customer obligations: the customer has to identify the goods being consigned and confirm that they’re not hazardous or perishable and that the customer owns them or has full authority to deal with the goods. The terms will also deal with collection and delivery times: the goods must be ready for collection at the agreed time but the carrier will usually give only an estimate of the delivery time and not a guaranteed commitment. Charges may be varied in certain circumstances and if the customer cancels, there may be a cancellation fee. Carriage will often be at the customer’s risk and, in that case, the customer has to arrange insurance of the goods in transit. Carriers like to limit liability as much as they can so that they have no responsibility for loss or damage which is beyond their control. What detailed terms does the Terms & Conditions contain? The Terms and Conditions document is intended as a standard set of terms and conditions which would be made available to prospective customers at the first opportunity. The Form of Agreement, sales contract and/or invoice would usually have these conditions attached. This contract is “company-friendly” – i.e. biased in favour of the service provider. The Contract comprises a Form of Agreement, with a Schedule, and a detailed Terms and Conditions document. The Terms and Conditions document is intended as a standard set of terms and conditions which would be made available to prospective customers at the first opportunity. The Form of Agreement, sales contract and/or invoice would usually have these conditions attached. You should insert the name of your company and of your client in the appropriate places in the Form of Agreement, and use the Schedule attached to describe in detail the goods to be transported, collection and delivery information, and the amount payable by the customer. This clause is designed to deal with the problem of the ‘battle of the forms’ – where a Company and a Customer each wants to contract on its own terms and conditions. This clause is intended to make it clear that the Company’s conditions are the only ones on which the Company contracts. This clause explains that the Company is not a “common carrier” – i.e. that the Company has full discretion as to the goods it contracts to transport, and is not subject to the strict rules which govern the liability of common carriers for damaged or lost goods. If in doubt about whether your company’s conduct amounts to common carriage, you should seek specific legal advice. Here the Company undertakes to exercise reasonable skill and care in carrying out its services to the Customer. This clause requires the Customer to confirm that it owns or controls the goods it wants consigned, and that those goods are not hazardous or perishable. The wording of this clause makes it clear that the Customer is responsible for the correct address, packaging and labelling of the goods, and that the Company can refuse to take the goods if these standards are not met. It also details circumstances under which the Company may refuse to deliver the goods, and/or return them to the Customer. This clause explains the timeframe in which the Company’s quote to the Customer remains valid. Where special terms are not agreed, the Company will raise an invoice on delivery and the Customer will have 14 days in which to pay. Late payment entitles the Company to claim interest. The clause also makes it clear that non-delivery does not necessarily exempt the Customer from paying, and sets out the circumstances under which payment may be due, even though delivery was not successful (for example, problems with the consignment, or the cancellation of delivery). This makes it clear that the goods are consigned to the Company at the Customer’s risk, and that the customer is responsible for insuring the goods. Following on from the above, this clause specifically excludes the Company from liability for any loss or damage caused to the goods, except where the Company is proved to be negligence. In this instance, the Company will be liable to pay a fixed amount per kilogram of goods lost or damaged. Under this clause, the Company retains a right to retain the Customer’s goods if the customer does not pay and, in the event of non-payment and following notice to the Customer, to sell those goods in order to recover the amount owing to the Company. The law governing the interpretation of the contract is specified here. In its current wording, English law is applicable. We have provided here for disputes to be finally resolved by the English courts and for both parties to submit to the jurisdiction of those courts. Prior to any court application, the clause makes provision for disputes to be resolved by negotiation and, if unsuccessful, mediation. For more information on dispute resolution clauses, see the free notes that can be downloaded from our website. This clause gives the Company the right to suspend or cancel a contract in certain circumstances, namely breach of contract, failure to pay and insolvency of the Customer. It goes on to make provision for the return to the Customer of any goods held by the Company at such time, at the Customer’s expense. 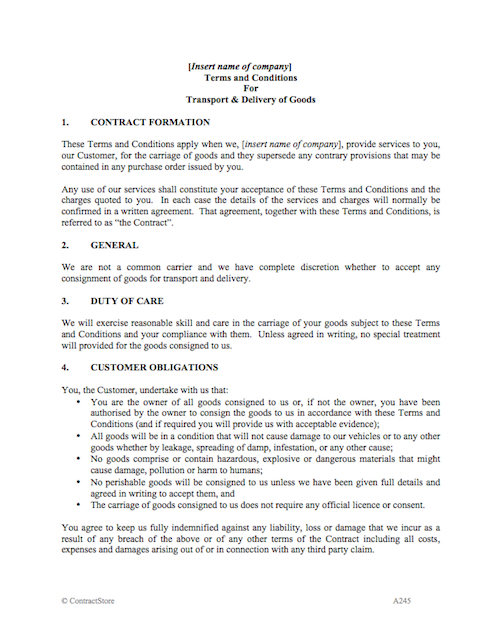 This clause specifies that only the Terms and Conditions and Form of Agreement, taken together, make up the agreement between the Company and the Customer, and that neither party can rely on any other document or verbal agreement reached between the parties to change the terms of their agreement. This clause specifies the very limited circumstances when either party can be said to give up a right under the contract. This clause is designed to avoid the risk of all the Terms and Conditions becoming void in the event that any one term or condition is held by a court to be illegal. The Customer may not assign its interests to a third party without the Company’s consent, but the Company retains its right to assign (for example, by subcontracting).